Spectrum is the workhorse of vineyards in California, Michigan, Washington and Chile. The Spectrum's rocking beam front end, 12 inch leveling capacity, 4 cylinder Cummins diesel power pack and attractive entry level pricing make it a practical option for all vineyards. 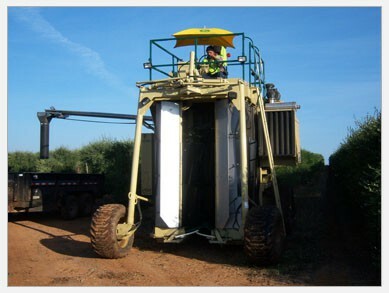 AGH is the largest supplier of Bo-Rods for mechanized grape harvesting in the Western Hemisphere. 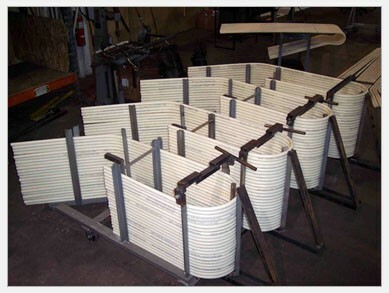 Our DURAFLEX nylon rods deliver superior long lasting performance while maintaining their shape and flexibility. They pick better and last longer than any competitive Bo-Rod. In addition to all of the standard rods listed below AGH will custom make a Bo-Rod to suit your exact vineyard and trellis requirements. 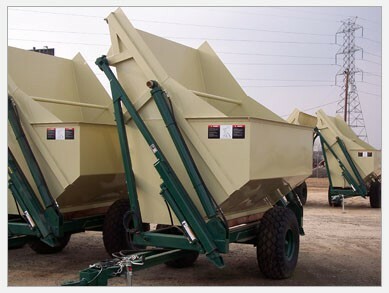 AGH is the leading manufacturer of grape harvesters and related equipment in the Western Hemisphere. 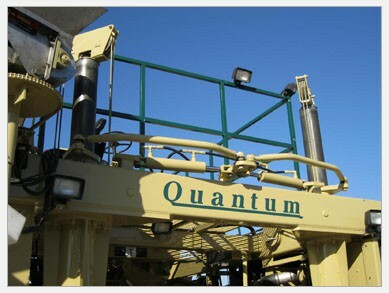 Our Spectrum and Quantum grape harvesters accept a variety of picking mechanisms so, nearly all vineyard terrains, trellis types and grape varieties can be gently and effectively harvested. AGH is dedicated to providing today's grape growers and custom grape harvesters with top quality and productive equipment they need to compete in our demanding industry. AGH is located in Fresno, CA. Please call us at 800.786.4232.